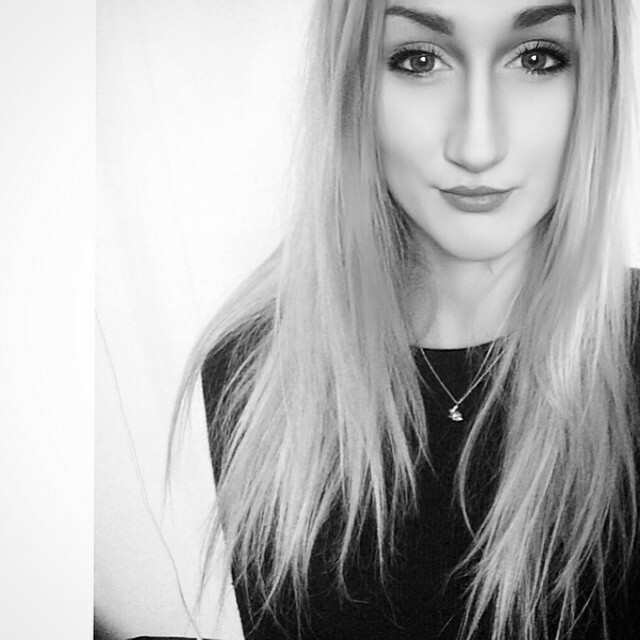 Recently I realised I haven't done a beauty post in quite a while, so I thought I'd do a little post on my daily skincare routine. 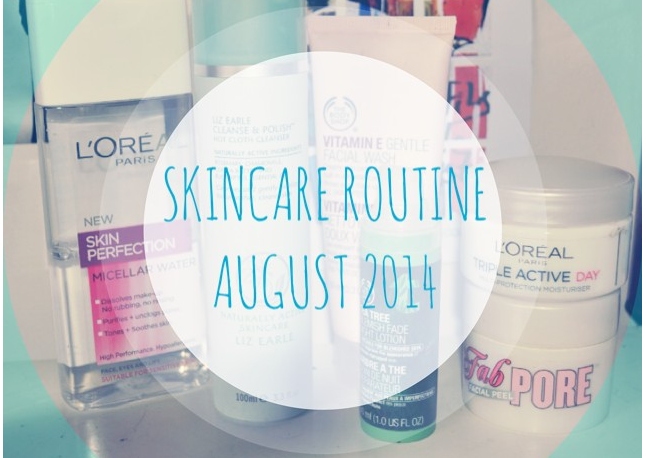 I've titled this August 2014 as my skincare routine is always changing and I can update it in the future, enjoy! I use this both when I wake up to remove any makeup I didn't get off before I went to bed, and to take off my makeup at night. As this is a water-based makeup remover, and also doubles up as a toner, it leaves my skin feeling fresh and completely cleansed. Unlike cream which I feel makes my pores feel kinda clogged and oil-based which leaves an oily coat on your skin which is hard to get off! I love love this product. Nothing leaves my skin feeling cleaner! I generally apply this before I have a shower, leave it on whilst I was my hair and use the muslin cloth to take it off afterwards. If you didn't get all of your makeup off before, than this will take off anything that's left. The muslin cloth also makes the cleanser act as an exfoliant so it's basically a two-in-one miracle worker for the skin! I don't use this every day, but when I've worn a lot of make-up the night/day before or when I'm having an outbreak it's perfect! I change up my general face was quite regularly as I tend to go through it a lot! My general rule for face wash is to do it after you've brushed your teeth. I also sometimes apply it after the hot cloth cleanser in the shower, depends how I'm feeling. I particularly like The Body Shop Facial Washes above others I've tried. Their Tea Tree face wash is also brilliant, I tend to use the tea tree wash when I have a breakout or my complexion is awful! I love the amount of goodness The Body Shop manage to cram into all of their products. I change moisturizers just as much as I change face wash! I get through them unbelievably quickly. I try to just apply moisturizer before my makeup and before I go to bed, but if I'm having a 'lazy day' around the house I normally end up applying it a lot more, whoops! This isn't my favourite moisturizer but it does the job. Think I will be repurchasing the Nivea Pure & Natural day cream for my next moisturizer! Yes I know, I lost the lid, but I'm only human! I've tried a lot of The Body Shop's Tea Tree range and have to say it is the best thing for clearing up blemishes of all kinds! From redness to spots, this night lotion clears your face up quicker than anything I've previously tried! I wouldn't recommend this product if you're lookig for a long-term solution to pore-free skin (I haven't found anything that does that yet!) But Soap & Glory's Fab Pore face mask really does a great express job. I use this if I've got a big day or I'm going out in the evening before I apply my makeup and it leaves my skin looking fabulous and my pores lminimal! So there we have it, my Daily Skincare routine! Leave me a comment and let me know what your ultimate skincare product is! 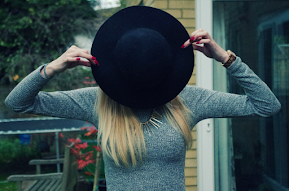 If you enjoyed this post please follow me on bloglovin or GFC! There are some really great products here, I really need to get my hands on Liz Earle cleanser. Have read so many rave reviews about it. I really want to try the facial mask, I love Soap and Glory. Great blog!